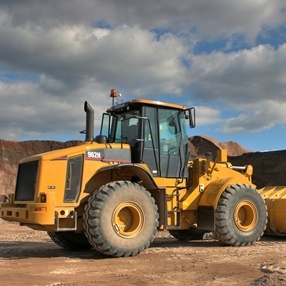 How to Get Heavy Equipment Shipping Rates? It goes without saying that shipping tractors, cranes, bulldozers, or any other heavy farm or industrial equipment is not the same as shipping standard packages. This task requires knowledge and experience, not to mention special trailers that can transport large and heavy items over a long distance. At Fine Art Shippers, we can solve this shipping problem quickly and efficiently! The fact is that while Fine Art Shippers is a reputable fine art shipping company in NYC, specializing in handling and transporting artwork of any type, we also provide a professional large item shipping service both nationally and internationally. Moreover, this applies not only to huge paintings and sculptures but also to vehicles and equipment of any size and weight. What is no less important, Fine Art Shippers offers very competitive heavy equipment shipping rates, which makes our company a number one choice for many. At Fine Art Shippers, we offer all our packing and shipping services at reasonable prices to meet the budget of any client. Along with that, it should be noted that heavy equipment shipping rates vary greatly, depending on a whole range of different factors. So if you want to get accurate heavy equipment shipping rates, you need to request a free quote or simply contact our team to discuss your particular order. This list is certainly not exhaustive as each particular order is unique and should be discussed and calculated individually. Besides, for more accurate heavy equipment shipping rates, it is always better to provide the shipping company with high-quality photos of the transported item. Fine Art Shippers offers a comprehensive heavy equipment transport service both nationally and internationally. We deal with items of any type, size, and weight, so feel free to contact our team with any shipping problem you have. Moreover, you will be pleasantly surprised to know that our heavy equipment shipping rates are pretty low as compared to most other shipping companies in the USA. Just let us know about your requirements and budget, and we will provide you with the best shipping experience ever!